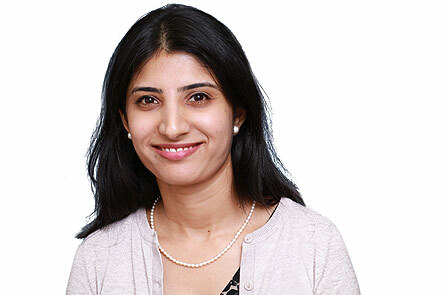 Shalini Vijaykumar, M.D. received her Bachelor of Medicine and Bachelor of Surgery from M.S. Ramaiah Medical College/Rajiv Gandhi University of Health Sciences, Bangalore, India in 2002. She completed her Internship in 2003, completed her Residency in Internal Medicine in 2010 at Mercy Catholic Medical Center (Mercy Fitzgerald Hospital and Mercy Hospital of Philadelphia)/Drexel University College of Medicine, Philadelphia. Dr. Vijaykumar completed a Fellowship in 2012 in Endocrinology, Diabetes, and Metabolism at The University of Texas Health Science Center at Houston (Memorial Hermann Hospital-Texas Medical Center, LBJ General Hospital, and The University of Texas M.D. Anderson Cancer Center). Dr. Vijaykumar is Board Certified in Internal Medicine and Board Certified in Endocrinology and Metabolism, a subspecialty by the American Board of Internal Medicine and is an attending physician at Main Line Health-Paoli Hospital. Dr. Vijaykumar is a member of the following professional organizations: American Association of Clinical Endocrinologists and The Endocrine Society. Dr. Vijaykumar has been in practice since 2012.